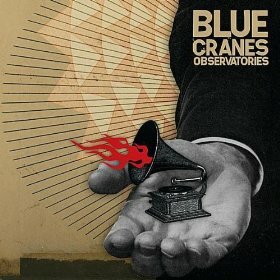 Portland, Oregon-based band Blue Cranes have a new record called Observatories that continues their exploration of a wide variety of musical styles. In this interview, two members of Blue Crane discuss the band’s origin; its expansion from a quartet to a quintet; the use of the studio as an instrument; and their fan-funded upcoming national tour by train. Learn more at www.bluecranesmusic.com. Really fantastic. Clear notes, pure sounds and all syncronized. Firstly appear melodic themes, after each instrument enter, separate from the other, and suddenly a great ensemble mixed.